WHAT ARE WOOD GRAINED FOILED WINDOWS? Wood grained foil windows are the perfect product for those of us who love the look and feel of traditional materials in our homes but hate the upkeep that comes with them. Even in more contemporary houses, we tend to prefer more organic, natural materials but these often require a greater level of upkeep than our busy lives allow and come at a price beyond what most of us want to spend. This is especially true of windows, which are a key feature in any home, both in terms of what is publicly on show to the world and as a prism through which we view the world. Think of them as the eyes on the face of your house, they need to work and to look good. New technology is constantly developing fresh techniques to satisfy our need for products that are both beautiful and practical. Heres how wood grain foiled windows resolve the problem of costly and high-maintenance timber windows. Using high-grade uPVC extrusions, we then apply RENOLIT EXOFOL window film to them after which we manufacture the window frames to your specification. This leaves a textured grained finish, which even close up has the appearance of a genuine hardwood timber window. The foil also acts as a “matting” agent, disguising the familiar “shiny white” look of plastic windows. The resulting window is almost indistinguishable from the real thing and is a great deal easier to keep clean and look after. 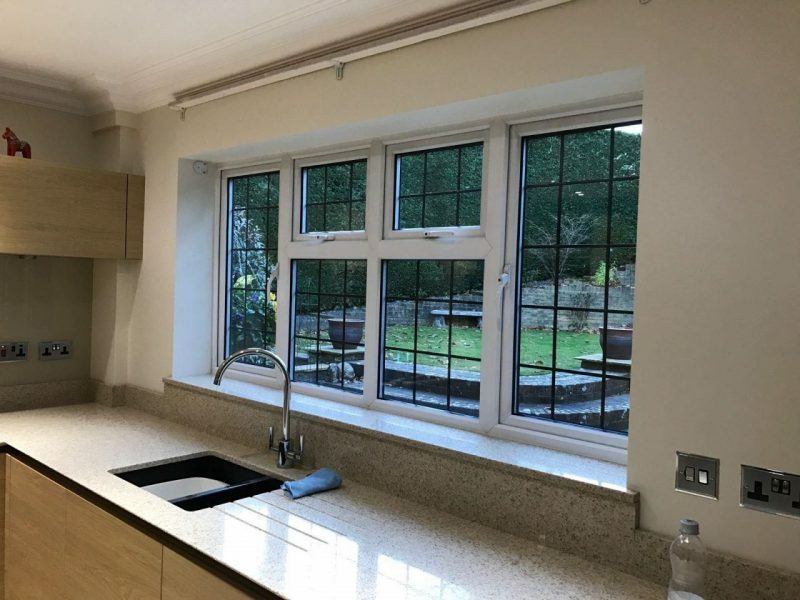 Maintenance is often the reason people start to consider the alternatives to timber windows and youll understand this if you’ve suffered from rotting frames, penetrating damp and draughts. PVCU windows are much more robust, hold their shape well and require little more than an occasional wipe down with a damp cloth. There is no need to compromise on design either. The kind of detailing you would look for on a well-made wooden frame  such as timber profiling, mechanical joining and wood effect sight lines  are all available on our timber alternative windows. Attention to detail and sophisticated engineering means the ugly welds visible on PVC windows in the past are no longer an issue. Take a look at the image above and youll see what we mean.The range of colours available is head-turning too. Previously only available in a limited range, there is now a wide variety of different wood finishes on offer, as well as an extensive choice of paint colours, which won’t fade and deteriorate like their traditional counterparts.And for the finishing touch, there is a wide range of window furniture, including monkey-tail and other period handles and stays. Specifically designed for modern window installations, they look and feel completely authentic and will complete the picture without compromising the style and charm of your property, whatever its age.At a fraction of the price of a traditional wood window, it is easy to see why more and more discerning homeowners are making the decision to install wood grain foiled windows. Stable, secure and low maintenance, timber alternative windows are both stylish and affordable. If youd like to know more, get in touch. Or even better, come and see us in the showroom. We’d love to show you exactly what we’re talking about.